GVSHP's public programs explore and celebrate historic preservation, the history and culture of Greenwich Village, the East Village, and NoHo, and New York City's built environment. Annual flagship events include the House Tour Benefit and June's Village Awards honoring the businesses, individuals, and institutions that contribute to the legendary quality of life in Greenwich Village, the East Village, and NoHo. Want to have first pass at reservation for GVSHP program? One great perk of GVSHP membership is that you have access to new program reservations ahead of the general public! Become a member for early program event notifications and first chance to reserve a spot, and so much more! 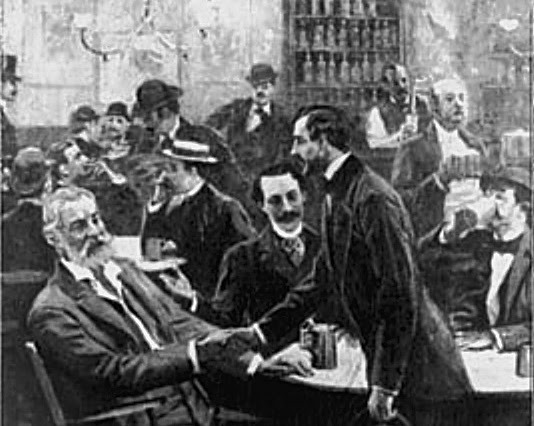 This talk will explore a detailed history of the development of the German American community in New York City and the East Village/Lower East Side, within the larger context of 19th-century immigration as a whole. Various aspects of society and day-to-day life in the German community in New York will be discussed, providing insight into specific characteristics of this particular immigrant experience in the city, some physical remnants of which still remain more than a century later. Richard Haberstroh is a native New Yorker, whose six German ancestors arrived in New York between 1835 and 1852 and resided in Kleindeutschland. He lectures and publishes broadly on various topics including the story of German immigration and settlement in New York City. He is also the author of the book, The German Churches of Metropolitan New York: a Research Guide. Presented in partnership with the Merchant's House Museum. The history of Lesbian, Gay, Bisexual, Transgender and Queer (LGBTQ) people has been bulldozed – literally and figuratively – and given almost no due. 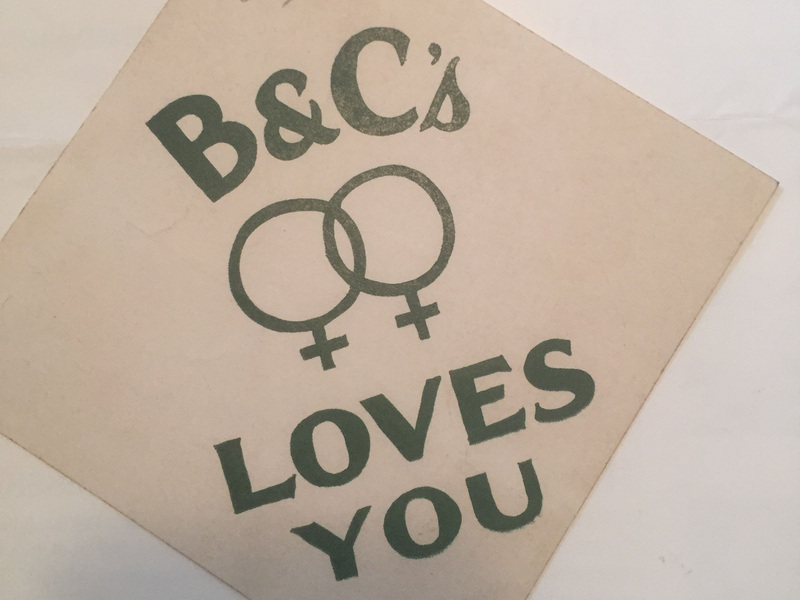 But in recent years there has been a flood of recognition of the importance of LGBTQ sites and the history connected to them. This panel will explore the evolution of recognition of LGBTQ history in historic preservation in New York City, and how such efforts further the cause of understanding and support for LGBTQ people. 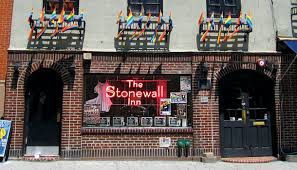 Speakers will look at the groundbreaking efforts in 1999 to get Stonewall listed on the State and National Register of Historic Places – the first site ever so recognized for connection to LGBTQ history – to a wide range of successful and failed attempts to protect LGBTQ landmarks in New York City. See our full list of Stonewall50 events here. In celebration of the 50th anniversary of the Stonewall Riots, join us for a free walking tour that explores the rich queer history of the neighborhood surrounding the Whitney Museum. This sunset walk looks to the past to reflect on the present by bringing visitors to select sites marked by queer history and culture. 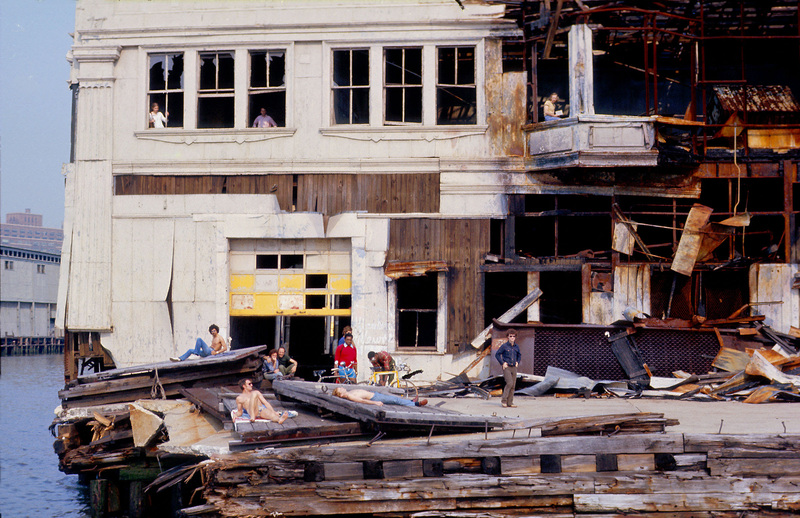 From the Hudson River piers to the clubs, visitors are invited to consider their connection to the changing landscape of the neighborhood that the Whitney now occupies, as well as to the history of the city. This tour will be led by Whitney Museum Joan Tisch Teaching Fellow Ayanna Dozier. Co-sponsored by the Whitney Museum of American Art and Village Preservation. This event is outdoors and sidewalk accessible, and will be offered rain or shine. This event's registrtion is currently full - sign up here for our waitlist. 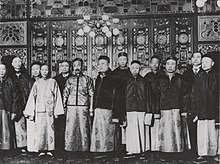 Following the passage of the 1882 Exclusion Acts, thousands of Chinese Americans moved to New York City to escape the increase of racist violence sweeping the nation. Here, they formed organizations to defend their rights and assert their agency within their communities. While most of this took place in what is now Chinatown, Greenwich Village was also a center for Chinese Americans organizing in the late 1800s. Join Dylan Yeats, Visiting Scholar at the Asian/ Pacific/ American Institute at NYU, for a talk about the Chinese American immigrant-rights activists who lived and worked in Greenwich Village 130 years ago. These young men and women worked with neighborhood churches and institutions to try to protect and extend equal rights for all races. Learn how their under-recognized victories and defeats shaped a formative moment in U.S. history and continue to resonate today. This event is accessible, with four stairs in the lobby. 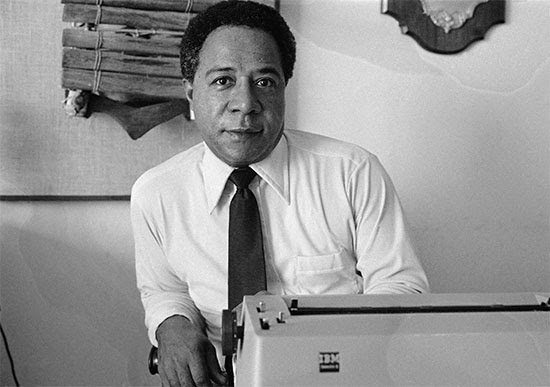 Alex Haley (1921-1992) lived and maintained a writing studio in Greenwich Village. Beginning in 1963 he conducted fifty in-depth interviews with Malcolm X here for his first book, The Autobiography of Malcolm X. Published shortly after his assassination in 1965, that book transformed the public’s view of Malcolm X, and is widely considered one of the top works of non-fiction. His next project was the 1976 book Roots: The Saga of an American Family, which has been published in over 30 languages and for which he was awarded the Pulitzer Prize in 1977. Haley began writing in the Coast Guard, where he served for 20 years. Andrea Blackstone, niece of Alex Haley. Ilyasah Shabazz, daughter of Malcolm X and Betty Shabazz. Zaheer Ali, Oral Historian at Brooklyn Historical Society. Brian Jones, Associate Director of Education at the Schomburg Center for Research in Black Culture. The Greenwich Village Historic District is one of New York’s earliest landmarked communities. On quirky angled streets lie 1920s speakeasies, literary hang-outs, European-style coffeehouses, Off-Broadway theaters — the quintessential American avant-garde home base. 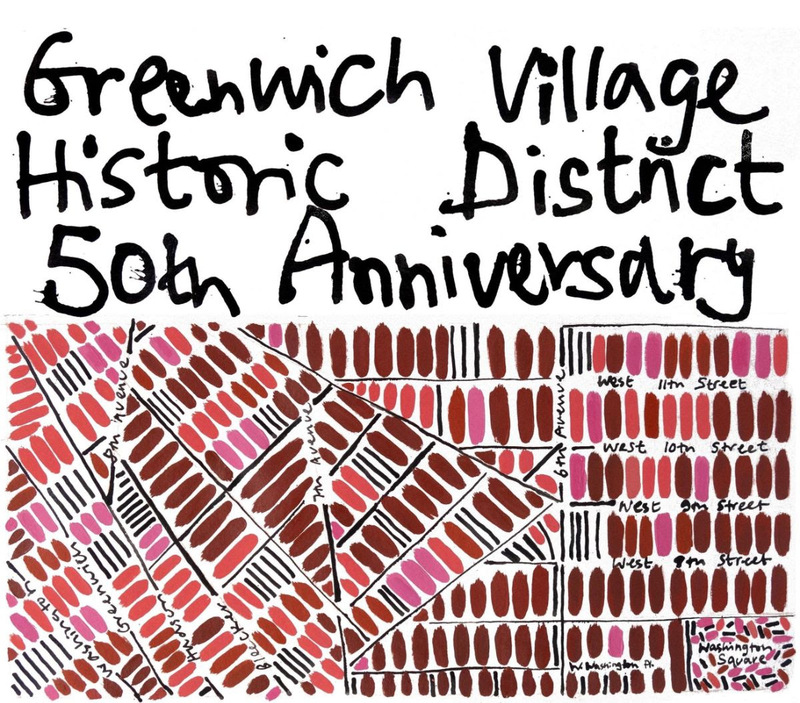 In celebration of the Greenwich Village Historic District’s 50th anniversary, Joyce Gold has created a special tour for Village Preservation exploring what the district looked like on the day of its designation. Explore spots which are new, saved, lost, and ever-magnificent, along with the broad variety of architecture that characterizes the district, homes of notable residents, and much more. Joyce Gold is a recognized expert and educator in New York history and for over 40 years has been guiding New Yorkers and visitors alike to rave reviews. This event is currently full - click here to sign up for our waitlist. Map art by Barbara Macfarlane, from Rebecca Hossack Art Gallery. 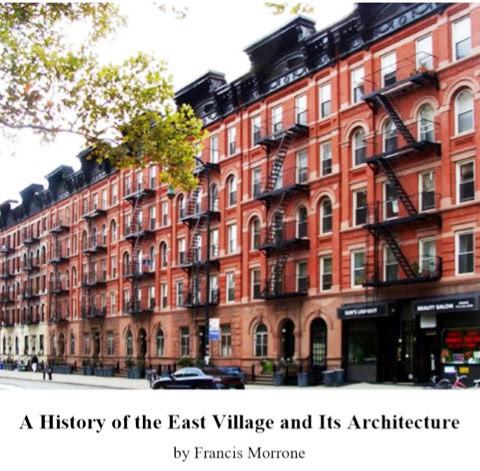 Noted architectural historian Francis Morrone’s “A History of the East Village and Its Architecture,” is part of Village Preservation’s effort to raise awareness and appreciation of the East Village’s rich history, and to advocate for its preservation. The report documents the East Village’s history from Dutch settlement in the 17th century and before, to its development in the 19th century as a prosperous merchant burg to immigrant gateway, its evolution in the 20th century from an epicenter of abandonment and blight to a center of cultural innovation and rebirth, to its struggle in the 21st century to maintain its identity in the face of renewed popularity and success. Francis Morrone is a historian, writer, and lecturer. His publications include The New York Urban Landscape Guide, Ten Architectural Walks in Manhattan, and many others. Morrone was named in one of the 13 best tour guides in the world by Travel + Leisure magazine. This event is currently full - sign up for our waitlist here. Stonewall50: A Drag March Storyslam: Tales of Glamour and Resistance! This year is the 50th Anniversary of the Stonewall Riot, and the 25th Anniversary of Drag March, which was founded in response to Stonewall 25’s rejection of Drag, gender-nonconforming, fetish, and others marginalized within the queer community. Drag March is the only grassroots, leaderless Pride event that marches without a permit. It’s the only Pride march that travels from the East Village to the West Village. Its storied history is one of glamour and resistance, of movements and activists that define the Village, the legacies of the misfit beginnings of the Village’s queer movements, and so, so much more. Join us for a multimedia storytelling event that will illuminate, titillate, and educate. A celebration of 25 years, the creation of a Drag March archive, and a collection of memorable storytelling performances! In an unfinished poem from the early 1860’s, Walt Whitman memorialized the Vault at Pfaff’s, home to New York’s first self-described bohemians, as a place “where the drinkers and laughers meet to eat and drink and carouse.” Take a walking tour with professor and Walt Whitman Initiative President Karen Karbiener from the present to the past, celebrating what the Stonewall Inn has been and continues to be, and what Pfaff’s beer cellar was to the community. Then, join historians Karen Karbiener, Brad Vogel of NYPAP, and Edward Whitley of Lehigh University at the subterranean Sweetwater Social (two doors down from the original Pffaf’s), where “overhead rolls Broadway–the myriad rushing Broadway,” to learn about Whitman’s Village and his time at Pfaff’s. Co-sponsored by Merchant’s House Museum, New York Preservation Archive Project, NoHo BID, Walt Whitman Initiative. and Village Preservation. One drink minimum at Sweetwater Social. This location is not accessible - there’s a staircase down to the bar from the street level. The 5:30pm Tour is currently full - sign up here for the waitlist. Register here for the 7pm Panel Talk. The flowers are blooming, the springtime air is sweet, and we are celebrating by stepping back in time, through the doors of one of glorious West 11th Street's Greek Revival town houses. Join us for cocktails and hors d’oeuvres in the garden of this magnificent 1858 home, followed by a book talk in the parlor with Patrick W. Ciccone, the co-author, with the late Charles Lockwood, of the forthcoming revised and expanded edition of Bricks and Brownstone, the classic book on the New York City townhouse. Bricks and Brownstone: The New York Rowhouse 1783–1929was first published in 1972, and remains the only book ever written on the New York row house. It has been met with impressive critical praise ever since, and Rizzoli will publish this revised and updated edition. Bricks and Brownstone takes a look at architectural styles of the row house and examines the history of New York’s changing neighborhoods through architectural styles of the late nineteenth and early twentieth centuries. 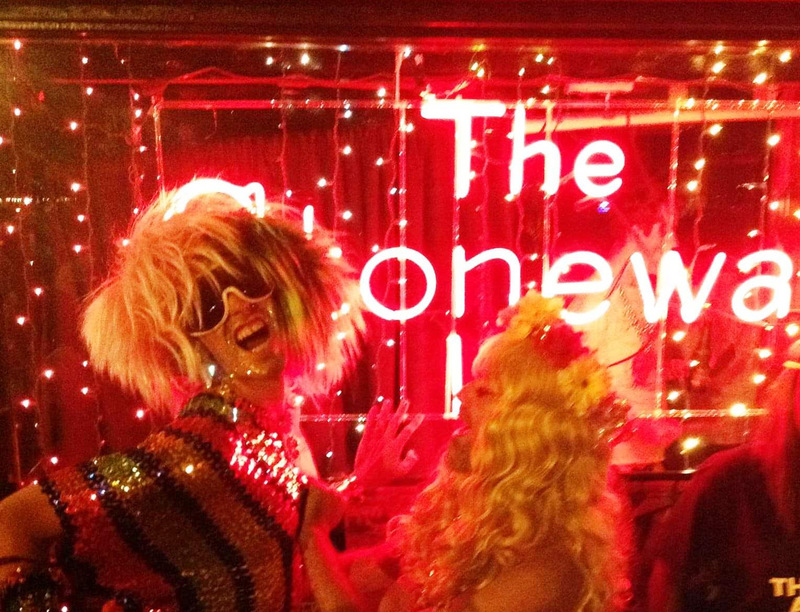 Stonewall50 Walking Tour: Where Have All the Dyke Bars Gone? The NYC Dyke Bar Takeover crew and Village Preservation are partnering to share some queer history/herstory/hystory of our Village streets. Hear stories and facts and see where dyke bars once stood – and continue to. Check out this historic tour of dyke spaces lost. New York City Dyke Bar Takeover is a group of artists and activists dedicated to creating and supporting Queer space for self-identified women/femmes, trans* and GNC people of all races. They have raised thousands of dollars for local queer organizations and to support queer artists and the creativity of their community. They create queer spaces and visibility wherever they go! This event is outdoors and sidewalk accessible. Tickets sales will open May 1st on the Dyke Bar Takeover Facebook page, with a special discount for Village Preservation Members. 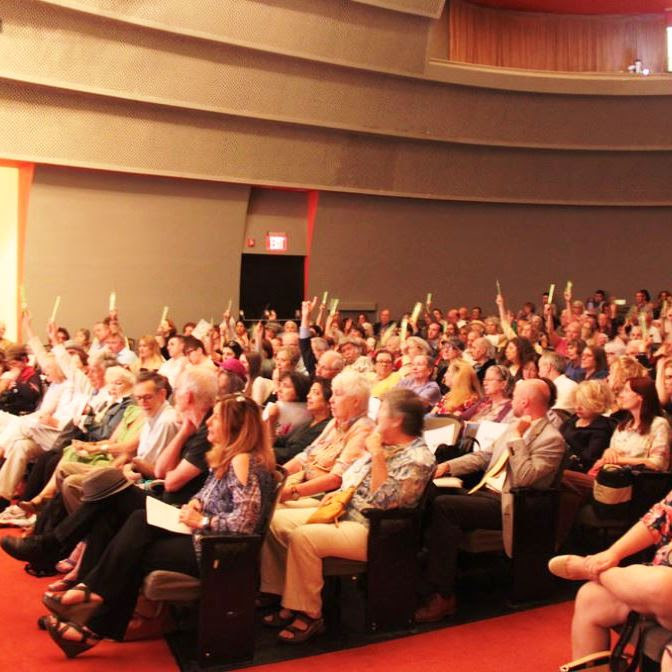 Each June Village Preservation holds a community-wide celebration, consisting of its Annual Meeting and Village Awards presentation. The Village Awards recognize the very special people, places, businesses, and organizations that make a significant contribution to the quality of life in Greenwich Village, the East Village, and NoHo. We will also review Village Preservation’s accomplishments and work from the past year. 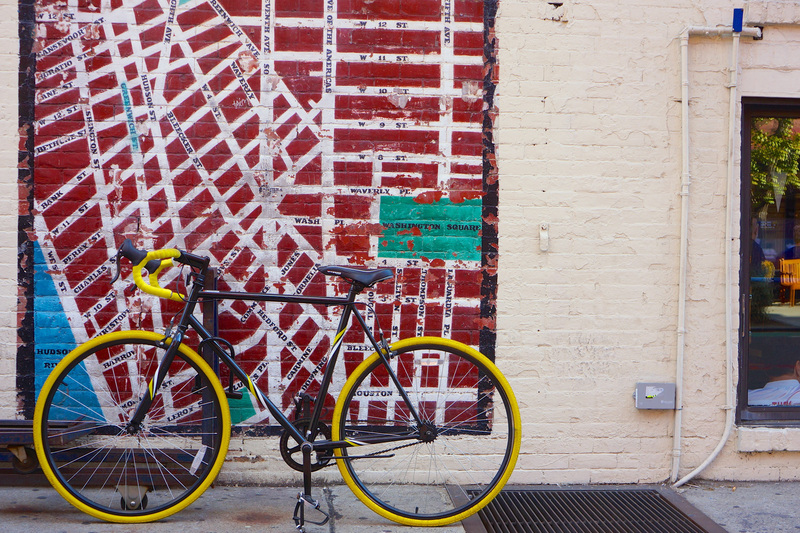 This exciting ride celebrates the charming buildings and off-the-grid streets of the Greenwich Village Historic District. We’ll take riders on a tour of some of the treasures of the Greenwich Village Historic District, and highlight some unique buildings and places. The tour will be about 90 minutes, with multiple stops, and we’ll travel at a leisurely pace. Our bike-riding guide, Harry Bubbins, is Village Preservation’s East Village and Special Projects Director. Harry coordinates our East Village work, advocating for expanded landmark and zoning protections, and working with our allies and colleagues to protect small businesses, and promote the arts. This ride is part of #GVHD50. We’re marking this golden anniversary with programs that address the Greenwich Village Historic District’s history, preservation, architecture, culture, and more. Learn more at www.gvshp.org/gvhd50. Bike tours can be risky - take necessary precautions & wear a helmet. Weather protection & water are also recommended. Bikes are not provided. After the Civil War, hundreds of thousands of Italian immigrants came to America, most of them making New York City their first stop. 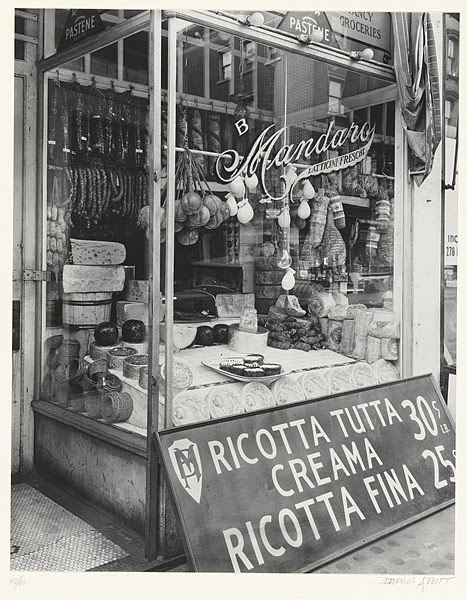 While the Lower East Side and Little Italy are well-known for their immigrant history, many may not remember that the area south of Washington Square was one of the most densely populated Italian precincts in the country. This illustrated presentation will look at how the Village came to be separated into a wealthier area north and west of Washington Square and a more working-class neighborhood to the south and east. We’ll look at who paved the way for Italians in the district and talk about the importance of holding on to the Italian places that still exist in the area -- RIP Trattoria Spaghetto -- so as to preserve this heritage. James Nevius is a historian focused on issues related to architecture and urbanism. His work appears regularly in Curbed and The New York Post. With his wife, Michelle, he is the co-author of Footprints in New York: Tracing the Lives of Four Centuries of New Yorkers and Inside the Apple: A Streetwise History of New York City, which is now in its 11th printing. He’s currently researching a new book on America’s love affair with utopianism. Co-sponsored by Village Preservation and the Merchant’s House Museum. With books for sale by Books On Call. This event is currently full - sign up here for our waitlist. 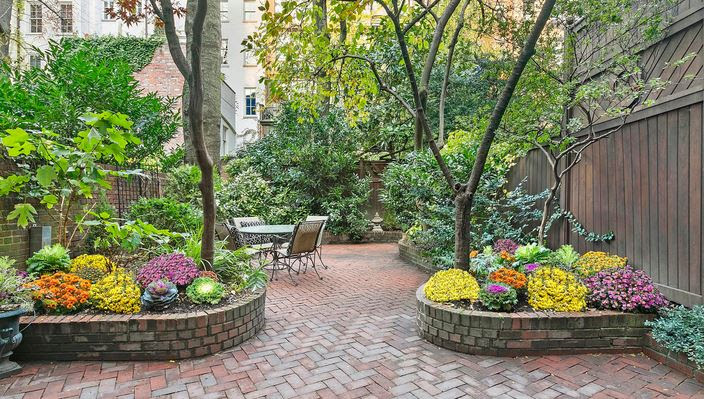 Join the Village Preservation Brokers Partnership for a garden party in one of Greenwich Village’s hidden treasures. Nestled in one of New York’s busiest corners, treat your senses to the beauty, colors, and scents of the gar­den’s peaceful oasis. Resplendent with glorious blooms, the garden provides the perfect setting to enjoy wine, cheese, and live music by the Bobby Lynn Quartet. 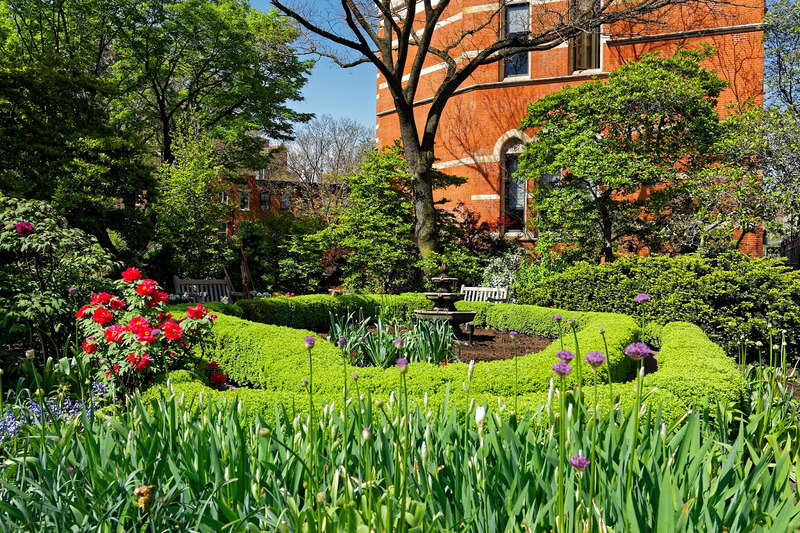 During the evening, Jefferson Market’s Historian Jack Intrator will offer a tour around the block, highlighting the fascinating history of the garden and library. In 2019, NYC Pride welcomes WorldPride marking the 50th anniversary of the Stonewall Riots, the catalyst for a revolution in social change and transformation. Village Preservation is hosting and collaborating on a slew of special events marking the anniversary. Wednesday, May 1 - Historic Preservation and LGBT History. Friday, May 3 - Stonewall50 and Jane’s Walk: Queer History Walk with the Whitney. Thursday, May 30 - Drag March Storyslam Culmination: Tales of Glamour and Resistance! Tuesday, June 4 - Celebrating Walt Whitman's 200th Birthday, and Village Gay Bars from Stonewall to Pfaff's with the Merchant's House Museum, New York Preservation Archive Project, NoHo BID, and Walt Whitman Initiative. Saturday, June 9 - Stonewall50 Walking Tour: Where have all the dyke bars gone?with NYC Dyke Bar Takeover and Queer Visibility Collective. Details and registration forthcoming. Thank you for not wearing fragrances at GVSHP events for the health and consideration of others. GVSHP’s programs are generously funded by: the New York City Department of Cultural Affairs, the New York State Council on the Arts with the support of Governor Andrew M. Cuomo and the New York State Legislature, City Councilmembers Rosie Mendez, Margaret Chin, and Corey Johnson, and GVSHP members.